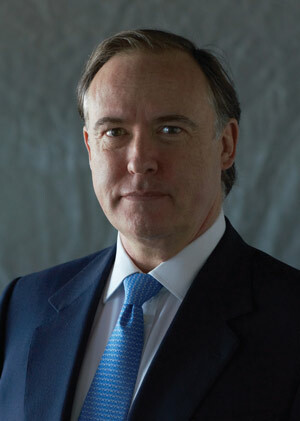 A British veteran of Merrill Lynch, Charles Beazley became chairman and CEO of Nikko Asset Management, which is majority owned by Sumitomo Mitsui Trust, in March. Headquartered in Tokyo, Nikko AM manages $158 billion in assets. Global Finance: What were the most important events that have shaped the global economy and the finance industry over the last 25 years? Charles Beazley: In the mid-1980s, what was really driving the markets was deregulation and tax reform. Oddly enough, Japan played its part in that. It's difficult to imagine that the Thatcher-era reforms in the UK would have been quite so successful without the emergence of Japanese car manufacturers arriving in the UK with a very different contract for their workers, which as such tried to de-socialize the UK economy. GF: What did it mean for Japan? Beazley: Japanese banks were extremely active internationally. They were buying the Chrysler Building and Rockefeller Center. And I think that short–term trend was imagined in lots of people's minds to be a persistent and long-lasting one. But perhaps they needed to refine their mathematics a bit and ask if that was really feasible or not. GF: What was the result? Beazley : Japan learned the hard way that these things take quite a long time to deleverage. What we are seeing now in Europe is exactly what we saw in Japan: banks doing the right thing, which means, "No more of that lending money or buying buildings in far-off places being supported implicitly by the taxpayers' guarantee on your banks." GF: How will Europe's crisis play out? Beazley: I think there's a lost decade coming up, and we're four years into it. There's an echo here about banks in Europe, banks in Japan and overextension. This is a deeply structural rebalancing which you can see in the world economy, which to an extent took root 25 years ago. GF: What will the globe look like circa 2037, and how will Japan be placed? Beazley: I genuinely believe this is the Age of Asia. Now 3.8 billion people—that's half the planet—live in Asia. This is a place where capital and infrastructure development are going to be needed. Does it really matter if Japan is getting older? There are all sorts of things that could change in 25 years in terms of demographics. Over the next 25 years, I suspect that the Japanese will say, "We have to reeducate, we have to open up, we have to be able to compete more internationally." GF: What will the impact be on the rest of Asia? Beazley: The intellectual laziness that goes with the analysis of "Asia Ex-Japan" is nonsense. Very crudely put, Japan has the money, Australia has the natural resources, and India has the nukes. These are very different economies, but they actually share tremendous gravitational mass and exert influences on each other.